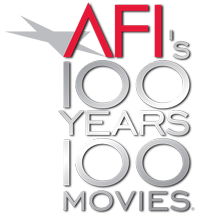 The American Film Institute released the first version of their 100 Years...100 Movies list on June 26, 1998. It presents 100 of the greatest American movies, as selected by 1,500 scholars and filmmakers. The complete list can be found here . The AFI released an updated list in 2007. Do not list rankings, ratings, or reviews in a work's description. These facts are Trivia.